After submitting your request, we will advise you of availability. To make a reservation we require a deposit of 50% of the rental fee, with the remainder payable within 30 days prior to your arrival. For bookings where arrival is less than 30 days, full payment is required at the time of reservation. Payments can be made via Pay Pal or by telegraphic transfer directly to our account. Full details will be provided in our response to your availability enquiry. How can I get to Phuket? Phuket has direct flights from many locations around the world, with Asia’s leading LCC airline now using Phuket as its regional hub www.airasia.com Phuket is only a 1 hour flight from Bangkok. How can I get from the airport to Phuket Holiday Villa? You can book return airport transfers when confirming your booking with Phuket Holiday Villa or you can use one of the many taxi or limousine services provided at the airport once you arrive. 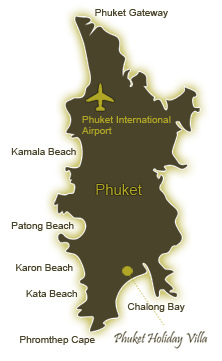 We do however recommend guests to book their transfers directly with Phuket Holiday Villa to avoid any complications. You should always take out Travel Insurance when traveling overseas or outside areas of your existing cover. We recommend buying comprehensive Travel Insurance for peace of mind during your visit, it’s always safer to cover yourself for unexpected incidents, including to but not excluded to cancellations due to sickness or accidents while on holiday. It is a requirement of Phuket Holiday Villa’s Terms & Conditions that all guests have appropriate Travel Insurance. Can I rent a car on Phuket? We can arrange for a rental vehicle to be delivered to you at either the villa or at the airport if you prefer. All vehicles are fully insured and air-conditioned. 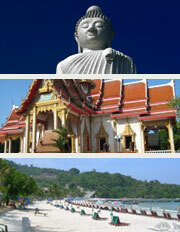 We have selected the best rates for a range of rental vehicles from reputable companies on Phuket. Please email us with your requirements. Can I drive on Phuket? In order to drive on Phuket, you require a valid international driving license, together with your national driving license. Always ensure that the vehicle you hire is insured and remember that seatbelts and helmets are mandatory safety measures. Riding a motorbike also requires you hold the equivalent vehicle license in your own country. If you have been drinking, don’t risk ruining your stay or the lives of others by driving under the influence. What is the domestic electrical voltage in Thailand? Electrical voltage in Thailand is 220v, Phuket Holiday Villa has been fitted with International power points for the convenience of guests who wish to bring their own electrical devices such as MP3 players, hair dryers, electric shavers etc. Do I need a visa to visit Phuket? Most nationalities are provided with a one month visa on entry. For longer stays, a visa may be obtained from the Thai embassy in any country to stay for periods longer than 30 days. Is it safe to drink the tap water on Phuket? Although much of the tap water on the island comes from deep wells, which tap underground reservoirs of mineral water, which is perfectly safe, we don’t recommend drinking tap water. However, Phuket Holiday Villa has installed a 5 stage UV filtered water drinking system that is the same as drinking bottled water. Are there any social taboos I should know about? In Thailand, shoes are never worn inside the house, but left at the front door. It is considered offensive to touch Thai people on the head, and to point or touch with the foot. Tolerance is generally extended to the cultural ignorance of visitors, although if you insist on being rude, aggressive, or abusive, you will succeed in causing offence. Are there things we should be mindful of? The most revered figures in Thailand are Buddha and the King. There have been cases of visitors behaving inappropriately towards their images, resulting in criminal charges. Do not climb on or vandalize any Buddha figures, especially in temples. It is not advised to criticize the King, or to deface any depiction of him. Do I need to purchase local currency before arriving in Thailand? It is advantageous to bring a small amount of Thai Baht for your arrival to Thailand; however, ATMs in Thailand accept most credit and debit cards, and offer better rates than those of your own banks in your own country. You can find ATMs in abundance on Phuket and at the airport when you arrive.